Every evening before I go to bed, I poke my head around Bella’s bedroom door to check on her. Nine times out of ten she has wiggled her little body out from under her duvet. And said duvet has then usually been kicked onto the floor. I will then carefully tiptoe into her bedroom to tuck her back in, holding my breath in a desperate attempt not to wake her. Most of the time this is pretty successful. Although of course there are times that I stupidly step on that one bloody creaky floor board and it all goes terribly wrong! 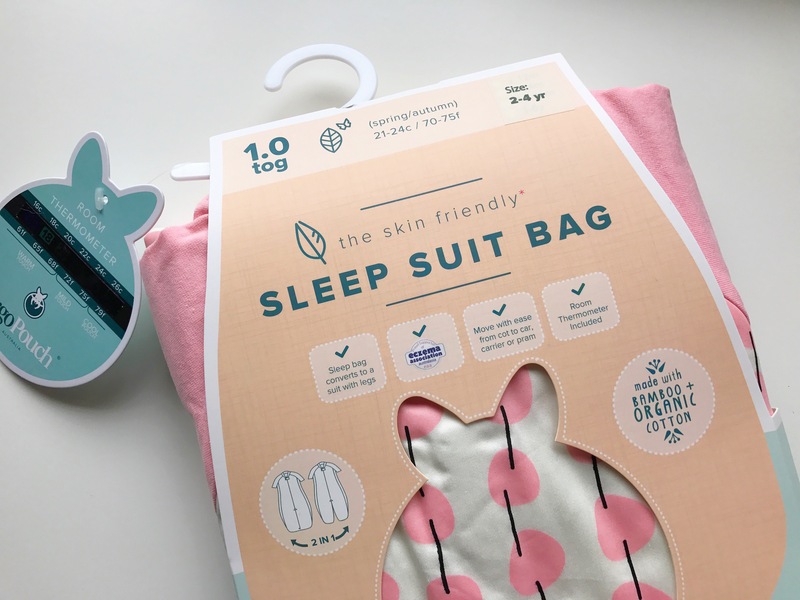 When ergoPouch got in touch and asked if Bella would like to try out one of their sleep suit bags, I thought that this may just be the answer to our problem. At first I was a little dubious as to whether she would be willing to wear it. But to my surprise she was more than happy to give it a go! 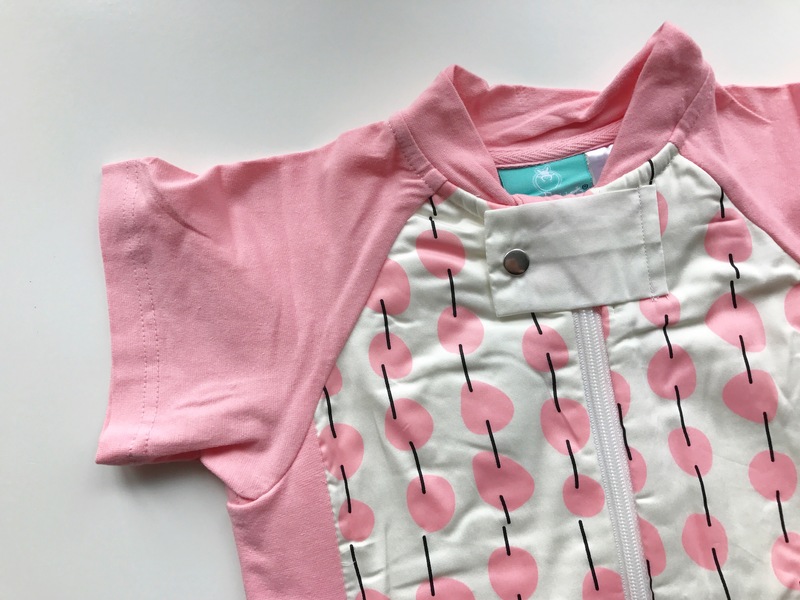 We used the traditional style sleeping bags with Bella from when she was just a few weeks old, right up until she transitioned into her big girl bed just before she turned two. I always felt reassured that she was warm but most importantly, safe! I was definitely a little sad when it was time to say goodbye to sleeping bags as she always slept so well in them and felt so cosy. 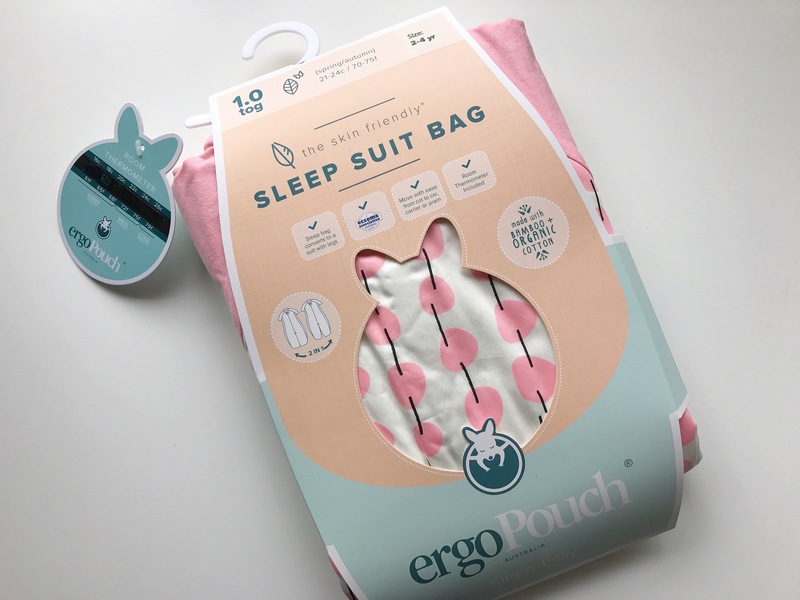 The ergoPouch sleep suit bags are perfect for both younger babies and toddlers. There are four different sizes; 0-3 months, 3-12 months, 12-24 months and the one we have which is 2-4 years. Bella is 3 and a half and has plenty of space in hers. 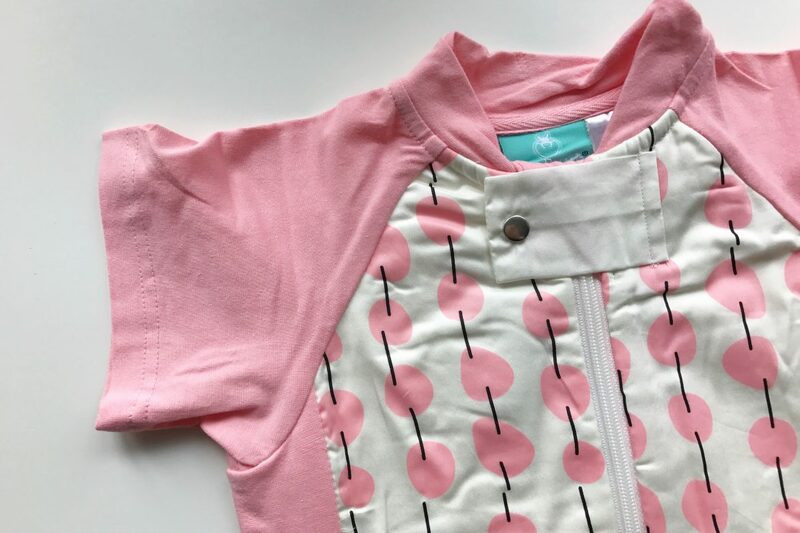 We have the 1 tog summer version which has little capped sleeves but there is also a long sleeved one that comes in either 2.5 tog or 3.5 tog which would be ideal for the colder months. What makes the ergoPouch Sleep Suit bags unique is the fact that you can use the Sleep Suit in the cot as a regular sleeping bag. But then you can convert it into legs using the zippers! I personally think this is a genius idea. It means that you are able to easily transition from cot to pram or car seat if needed. But also it’s perfect for walking children too as the bags include grip pads on the feet. 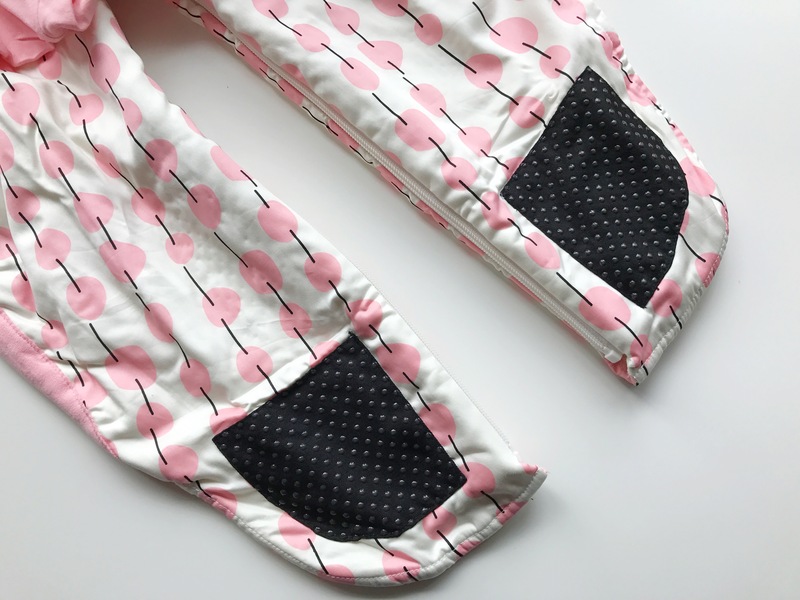 There are also stretch inserts in both the top and side panels to allow your baby or toddler to move freely. 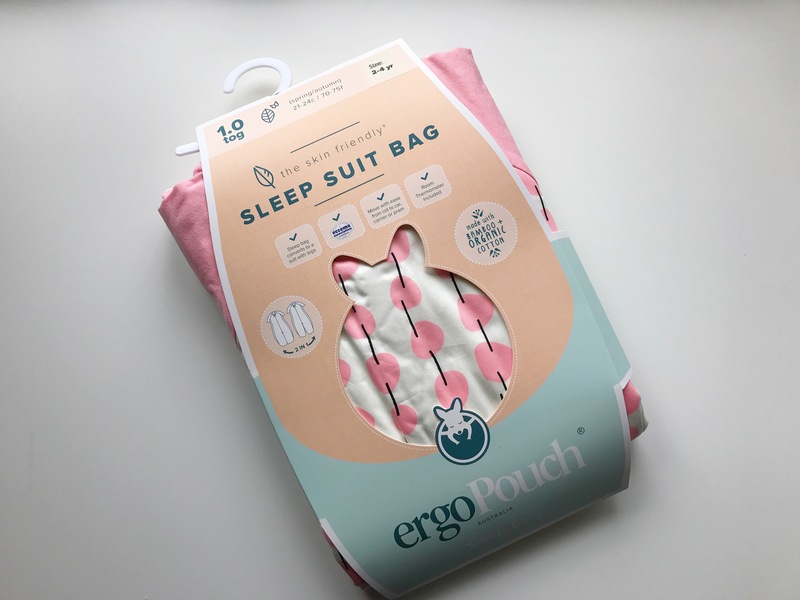 All of the ErgoPouch sleep suit bags are skin-friendly and eco-friendly – using absolutely no pesticides or chemicals. The breathable fibres help to keep body temperature constant and comfortable too. 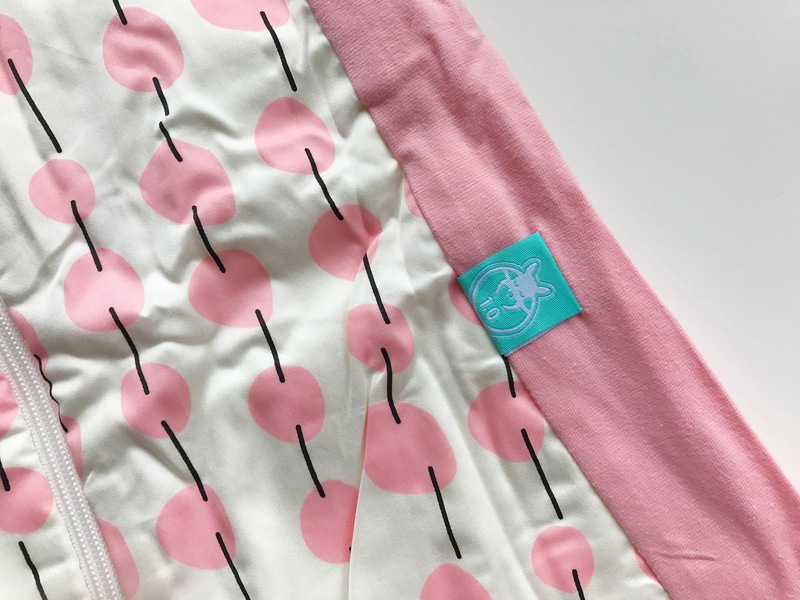 There are lots of lovely designs to choose from, we have the cherry one! They are all available to purchase from John Lewis here. Have you ever used any ergoPouch products? I’d love to know what you thought too!